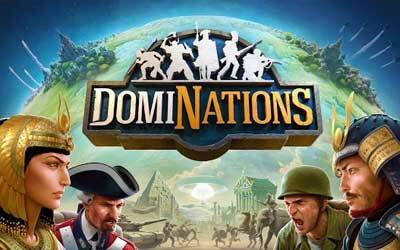 This is old version DomiNations 4.451.451 apk for Android, you can install it if you want to downgrade or install old app. It is top Strategy apps from NEXON M Inc.. Expand your civilization’s skills at the University with the help of Great Leaders like Leonardo DaVinci, Catherine the Great, King Sejong, Sultan Saladin, and Suleiman the Magnificent! Italian and Turkish language support! Battle for Glory and the top spot on the World War Leaderboard! Research a cunning new Tactic: the Decoy!